What If Every Car Had An Ignition Interlock? You are here: Home / General Information / What If Every Car Had An Ignition Interlock? There’s no way to predict whether someone will crash his or her car due to drinking and driving. Alcohol affects everyone differently, and your level of intoxication after a few drinks can depend on your weight, height, age, and gender. What experts can predict with certainty is that drinking and driving increases your potential of a crash, and that these crashes can be severe enough to injure or kill yourself, someone you love, or a complete stranger. Given that these crashes happen every day in the United States, it makes sense that researchers are constantly searching for ways to decrease drunk driving crashes, save lives, and prevent injuries. How do they propose it can be done? By putting ignition interlock devices in all newly purchased vehicles. It makes sense that the research was done in Michigan, a state that has ‘Motor City’ or Detroit as it’s capital. Researchers at the University of Michigan Injury Center together with the University of Michigan Transportation Research Institute studied whether or not installing ignition interlock devices in all newly purchased vehicles would make an impact on drunk driving crashes, and the results were surprising. Researchers estimated that if ignition interlock devices were installed in all new vehicles, over a 15 period there would be an 85 percent drop in crash deaths due to alcohol. Another 1.25 million injuries could be prevented too. But what would the world be like if every single vehicle has an ignition interlock device? There would definitely be pros and cons to that plan. On one hand, it’s proven that ignition interlocks work to reduce the likelihood that a drunk driver will drive again by 65%. On the other, having an ignition interlock in every single vehicle will penalize drivers who may never consider driving drunk. The researchers did state that young drivers age 21 and under would benefit the most from having an ignition interlock in their vehicle, because statistically they are the demographic most likely to die in an alcohol-related crash. This is a study that’s sure to become a hot topic of debate. What do you think? 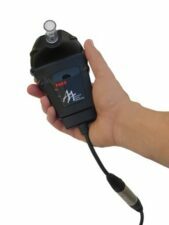 Should every new vehicle be equipped with an ignition interlock device?